The house at Camp and Norton Streets at which CANU agents said they seized 34 kilogrammes of marijuana. 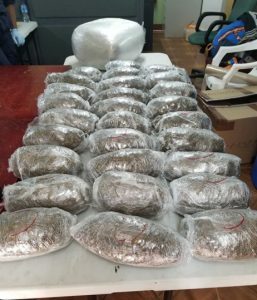 Several persons were arrested early Sunday morning in connection with the alleged discovery of 34 kilogrammes of marijuana, the Customs Anti-Narcotics Unit (CANU) said. 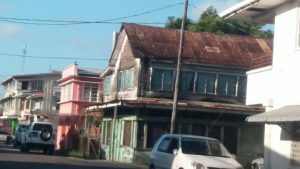 The anti-drug entity of the Ministry of Public Security said the marijuana was found at a house at the corner of Camp and Norton Streets, Georgetown.